Classical and flamenco guitarist Silviu Octavian Ciulei was born in Constanta, Romania. He began his musical studies at the early age of six and attended the High School of Arts, a Conservatory style school in Constanta. By age thirteen, he had won his first performance prize. Many awards soon followed including First Prizes in the National Music Olympics, and was First Prize winner and Gold Medalist three times consecutively in the “George Georgescu” International Music Performance Competition. He graduated at the top of his class and was selected to perform a Concerto with the Black Sea National Philharmonic Orchestra. In 2004, Silviu was awarded a Full International Scholarship to study guitar performance with Dr. William Yelverton at Middle Tennessee State University in the Nashville Music City area of Tennessee. Silviu is the MTSU School of Music's first Full International Music Scholar and first four-time Undergraduate Research and Creativity Scholar and Grant recipient. Upon his graduation from MTSU he was awarded an Outstanding Achievement Award in Guitar Performance. Silviu is also an acclaimed flamenco guitarist. He traveled to the south of Spain to study flamenco guitar and lived in Cadiz, Madrid and Seville. Some of his flamenco mentors include Adam del Monte, Ricardo Nunez, and Oscar Guzman. He has performed with his flamenco quintet Tequila Flamenco Group at the Guitar Foundation of America International Festival at Oberlin Conservatory, headlined the Eastfield Guitar Festival in Dallas, TX and appeared live on numerous occasions on National Public Radio and TV. Recent engagements with his new flamenco project Maharajah Flamenco Trio include an array of performances at many festivals such as the Southern Guitar Festival, the Eastern Shore Guitar Festival, Florida Folk Festival, Radford Guitar Festival and a tour of the eastern coast of the United States from Florida to New York. Silviu has also appeared as soloist with the Black Sea National Philharmonic, Nashville, Allentown, Tallahassee, Hendersonville symphony orchestras, to mention some of the more recent concerto performances. Silviu holds a Bachelor of Music (BM) from Middle Tennessee State University, and a Master of Music (MM) and Doctor of Music (DM) in Guitar Performance from the Florida State University College of Music where he was Graduate Teaching Assistant to distinguished professor Bruce Holzman. In addition to being a classical and flamenco guitarist, Silviu is also a fine flamenco singer and always fascinated with languages, he speaks five fluently. 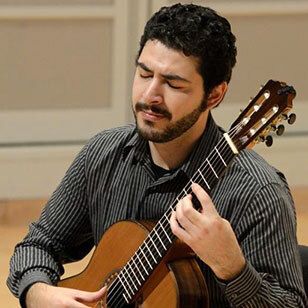 After a few years teaching at FSU and other colleges in Florida, Silviu has accepted a position at Furman University in Greenville, Soouth Carolina where he is Professor of Guitar. He also has been recently appointed as Visiting Professor at Wake Forrest University in Winston-Salem, North Carolina. A very sought after modern and dynamic artist, teacher, mentor and judge, Silviu appears regularly at many guitar festivals, workshops and conventions in the US and around the world.